You and your sweetheart are born in zodiac signs ruled by the planet Mars. Your emotional connection is special. It is easy for you to understand your partner’s feelings, needs and desires. You have an excellent sexual compatibility and that intense desire that you feel for each other makes you get easily over the difficulties that you might encounter in your couple. You like to stay active and you fill your free time with fun and smart leisure activities: for example, you like to go hiking or skiing together or to play video games with your partner. As there is no perfect relationship, yours will be also challenged, but you are both fighters, not quitters: you fight for the person you love and for the family you establish together. What should you do when you encounter small problems in your marriage? When you encounter small problems in your couple you should lower your expectations and give a break to your partner and to yourself as well. Relax! Even when things are not perfect, you still can live a great love story together! Which are the circumstances when you should consider a divorce? If your partner is physically violent or sexually abusive, is addicted to alcohol or drugs or takes advantage of your money, trust and love, you are in a dangerous relationship and should seek help as soon as possible. Even if your sweetheart’s zodiac sign is compatible with yours, keep in mind that no one should behave abusively with another person. A relationship blossoms into something beautiful only if both partners take good care of it. Did you know? 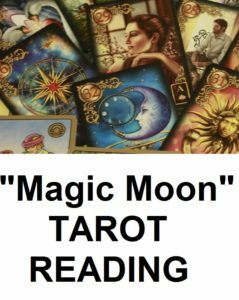 Now you can have access to Professional Tarot Readings andPersonalized Astrology Reports.